Our CEO, Rajesh Lalwani was quoted by Afaqs in this story titled ‘Mercedes-Benz Project X: Is this the face of the new age ad film’. 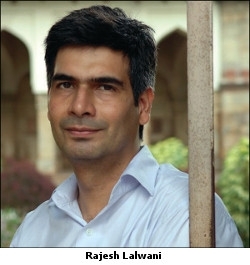 Lalwani also feels that the reasons for the luxury buyers’ segment getting a lot younger are several — higher disposable incomes, single urban lifestyles, and easy access to loans. “Even as the dreams of young India are changing and getting manifested in multiple career paths they are choosing, some things continue to remain the same. Mercedes continues to be the perfect celebration of aspirations, quality and an iconic statement of success,” he says. As a result, luxury car makers are introducing entry-level products to target the first time buyer. “You may see other brands actively pursuing the audience/aspiration through new story-telling formats that go beyond the product and its appeal, going forward. India is moving up the value chain faster, and luxury brands like Mercedes are leveraging the phenomenon with initiatives such as this one,” says Lalwani.